Some classic cigars never go out of style and if it is a Punch cigar, you can rest assured of an unforgettable smoking experience. Since their first cigar introduced in 1840, the brand has churned out winner after winner. Known for their magnificent full-bodied stogies, Punch cigars have consistently scored 90+ ratings. Named after a popular English character of the 19th Century, Punch Cigars are handmade and produced in two places - in La Corona, Cuba by the state-owned tobacco company, Habanos SA and in Cofradia, Honduras by the General Cigar company. The cigars use an Ecuadorian grown, Sumatra seed wrapper or a Connecticut Shade Maduro wrapper. They are also renowned for cultivating the finest Cuban-seed tobaccos grown in Honduras, Nicaragua and the Dominican Republic. 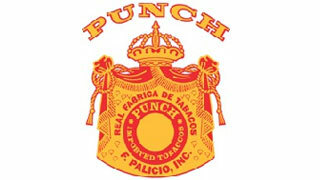 The cigars are available under the Punch, the Punch Deluxe and the Punch Grand Cru series. Though most Punch cigars, like Punch Corona and Royal Selection No. 11, have been top-rated, the Punch Cigar and the Punch Double Corona have been ranked in the All-Time Top Cigars in the 2002 edition of Cigar Aficionado. The Punch Gran Puro was named as a ‘best buy’ by Cigar Insider while the Punch Grand Cru Maduro was in the Top 25 Cigars in 2010. The illustrious brand has consistently maintained its quality and construction through the years. With an easy smoke, varied flavors with a perfect balance and a full-bodied strength, these cigars were and still are the ‘go-to’ cigars for most cigar connoisseurs. EVERYONE WHO ENJOYS A FULL BODIED SMOKE SHOULD ADD PUNCH TO THEIR BUCKET LIST!